With a selection of all mainstream German channels covering many genres the HD+ package will suit the interests of the whole family. HD Plus is a bouquet of German satellite channels, all in stunning high-definition. 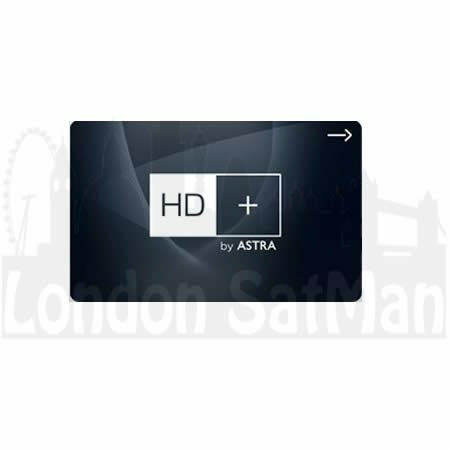 HD Plus can be received via satellite from the UK with a 60cm dish from Astra 19.2E, independent from TV operators, for channels outside of the established pay-TV networks, and requires a dedicated receiver and viewing card. With HD+ you have no contract or monthly fees. The card is prepaid and you simply pay a one off fee and enjoy HD+ for 12 months. 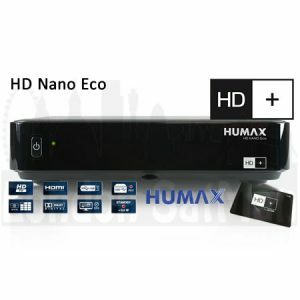 After one year the HD+ card can simply be bought or renewed. RTL HD, Sat.1 HD, ProSieben HD, VOX HD, RTL II HD, kabel eins HD, SUPER RTL HD, HD N24, n-tv HD, TELE 5 HD, SPORT1 HD, DMAX HD, RTL NITRO HD, Nickelodeon HD, sixx HD, ProSieben HD MAXX, DELUXE MUSIC HD, Disney Channel HD, TLC HD. To receive channels from HD Plus Germany a 60cm pointing to Astra1 @ 19.2E and a HD+ satellite receiver or CAM module are needed.